The Grand Canal Venice Italy – or as we call it Canale Grande, is the central artery of Venetian life. The Grand Canal Venice Italy – or as we call it Canale Grande, is the central artery of Venetian life. It is the main public highway for the city. Venetians travel to work and school by boat along the Venice Grand Canal that connects to smaller canals around the city. 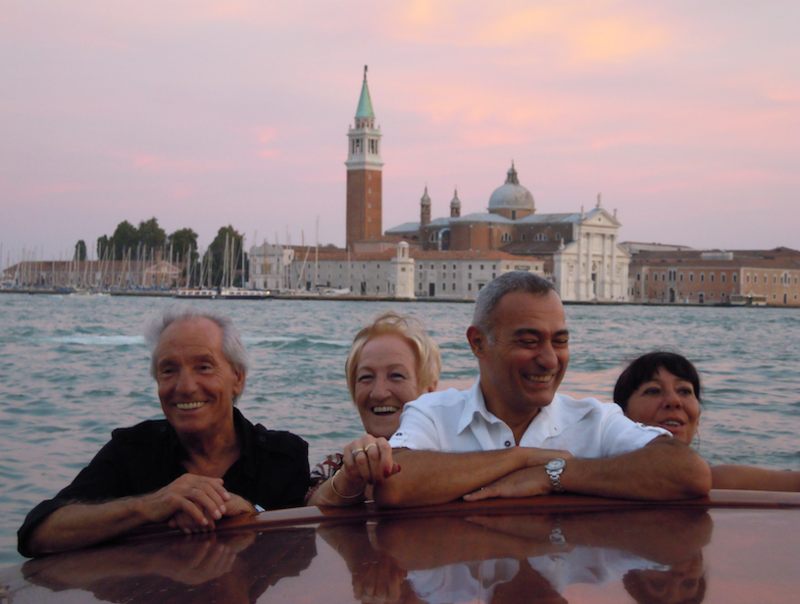 And visitors on an Italian vacation can survey Venice’s beauty from the Grand Canal Venice. At one end of the canal is the Venetian lagoon, close to the Santa Lucia railway station. And at the other end is the San Marco Basilica. The canal itself can be best described as a reverse ‘S’ shape and the journey from one end to the other is about 3km long. It’s a hive of activity – being the central transportation route for the city. It’s full of vaporetti (water buses), private water taxis, barges delivering goods, emergency boats belonging to the police, fire and ambulance service and of course the traditional poled gondolas. Along the two-mile route there are four bridges. Perhaps the most infamous is the Rialto Bridge that is around the halfway point and the narrowest point of the canal. It’s the oldest bridge and its white stone structure is an example of the Renaissance architecture and engineering. Rialto is the financial centre in the heart of Venice. 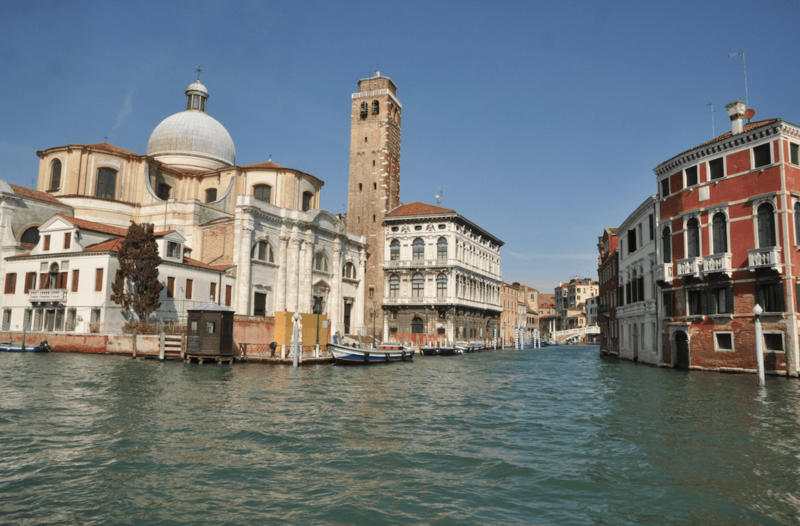 You can trace the history of Venice as you survey the buildings that line the Venice Grand Canal. You’ll find palaces, churches and other public buildings all in Romanesque, Gothic or Renaissance styles. From the Grand Canal you can see how beautiful the buildings are but also how remarkable they are too being built in the water using techniques that have maintained them and protected them from the effects of the water for all this time. That ingenuity is something we love about Venice. 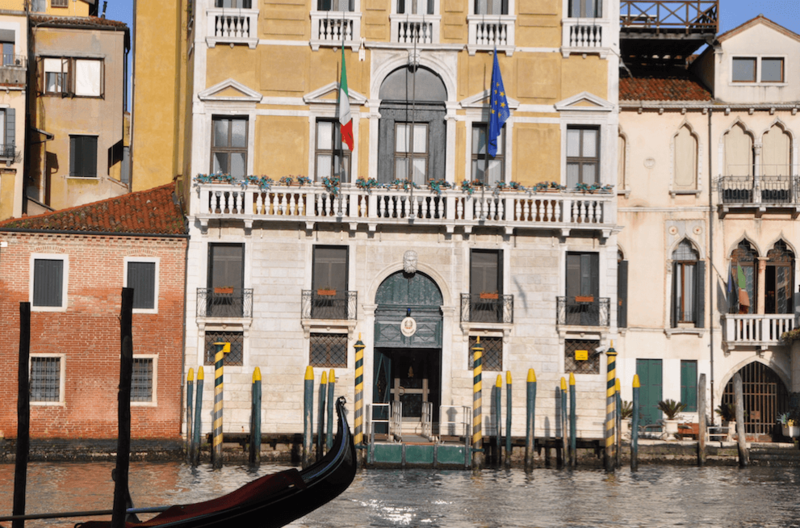 Some of the highlights you can see from the Grand Canal Venice Italy include Fondaco Houses which are traditional buildings combining a warehouse and a merchant’s residence. A portico covers the entrance to the building, so boats could manoeuvre in and unload under cover. Although their purpose was quite ordinary, they are very ornate in style. One of the most beautiful buildings is the Ca’D’Oro which translates as the ‘golden house’. Its full name is the Palazzo Santa Sofia - one of the oldest palaces in the city that dates back to 1428. It’s stunning. Another notable sight is the Ca’ Pesaro – a gothic marble palace which faces the Grand Canal Venice and is now a modern art gallery and oriental art museum. Santa Maria della Salute built in 1630 in thanks for the end of the plague is not only a beautiful structure outside and in, but also a fascinating one. Over one million timbers were driven into the floor of the canal to support its weight. The Palazzo Grassi was the last palace built on the banks of the Grand Canal Venice before the fall of the Venetian Republic in 1797. It has been refurbished extensively but is notable because it was the last palace built at that important point in Venetian history but also because it blends neoclassical and modern architecture so well. The Grand Canal Venice Italy is teeming with things to see and explore. At Avventure Bellissime, the Italian tours and Italian holidays expert, we offer a 1 day tour of Venice which takes in a tour of the Grand Canal Venice as well as a walking tour of the city, so you can go and explore the city in full by foot. It also includes skip the line tickets to St Marc’s Basilica. 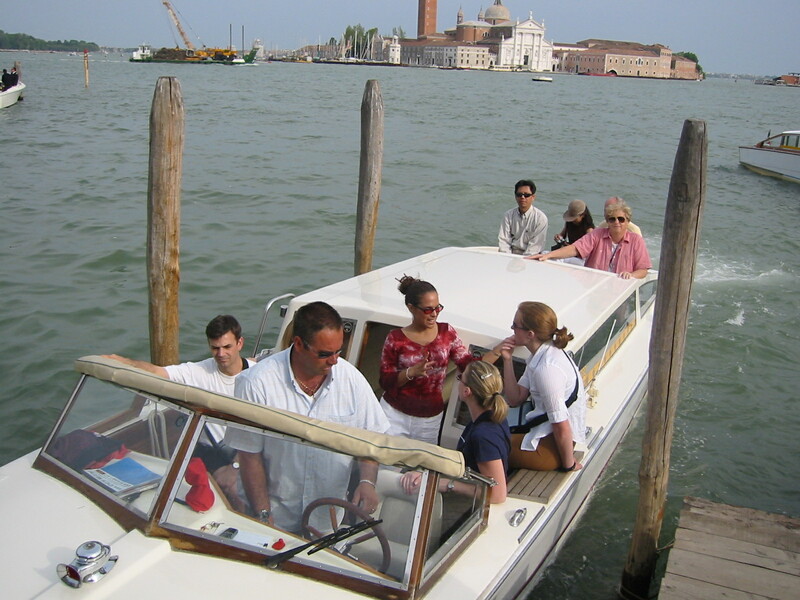 Or you can swap a motorised launch for a gondola on our walking tour and gondola ride tour.